15 5 PH Stainless Steel Supplier | Stainless Shapes, Inc.
15 5 PH steel is best understood as being the ferrite-free version of 17 4 PH. While both work very well with aerospace, chemical, petrochemical, food processing, paper, and general metalworking, 15 5 is free of Ferrite and a high martensitic stainless. It shows high strength, mechanical properties, and corrosion resistance. Atop its definite bonuses, it is also good for operation up to 600 degrees and has strong toughness in longitudinal and transverse directions. Chemical – 15 5 draws its strength from its mostly Iron content. With 75% Iron, it withstands a lot of force while also being machineable at high temperatures. The 14.5% Chromium does wonders for corrosion resistance. Machining – This steel is easily machinable. 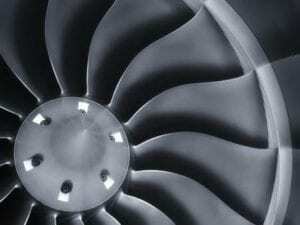 The alloy should be formed in overaged conditions before being welded by standard methods. It is optimally treated and annealed at 1900 degrees, and it is best if cold-worked to increase strength. The majority of its chemical composition is taken by Nickel, Copper, Manganese, Silicon and other small amounts of metals to increase overall chemical resistance while reinforcing the steel itself. It works well under these conditions primarily due to its high strength and accessibility. While not being a very specialized steel, it does have the versatility of working well with everything except for marine or aquatic work. Stainless Shapes is one of the top providers of steel on the market. If you would like to know more about our company, the steel we offer, or would like to speak to a sales representative who can help you find the steel you’re looking for, give us a call today at Call Call (800) 748-9811! For a prompt and accurate quote, call us today!